Liko OriginalSling Model 10 - polyester sling with reinforced back and leg supports is designed to adapt to the user without individual adjustments and is one of our most widely used slings. It provides a slightly semi-reclined sitting posture and excellent support for the entire body, which is good for clients with reduced head and torso stability. 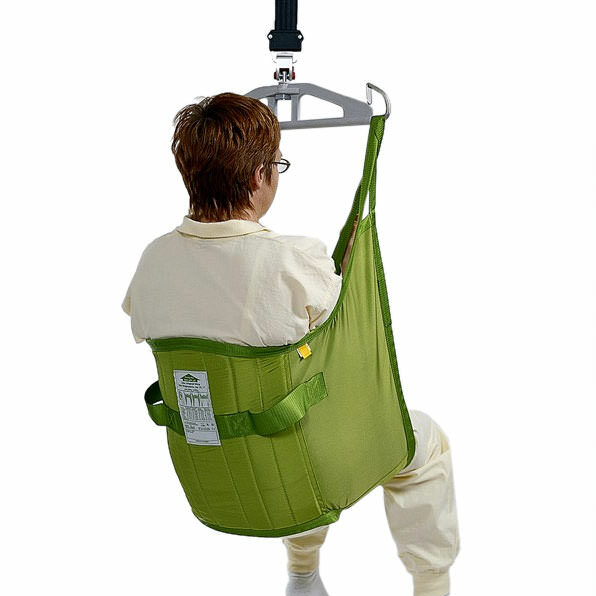 A properly fitted and carefully applied sling will give the patient a sense of security, as well as a high degree of comfort soft original high back sling can be used in all common lifting situations. The soft reinforced soft head support provides extra comfortable support for the head in both a sitting and a supine position. Soft original high back sling has leg supports with reinforced inserts which provide a high degree of comfort, distribute the pressure and prevent the sling from creasing under the thighs. 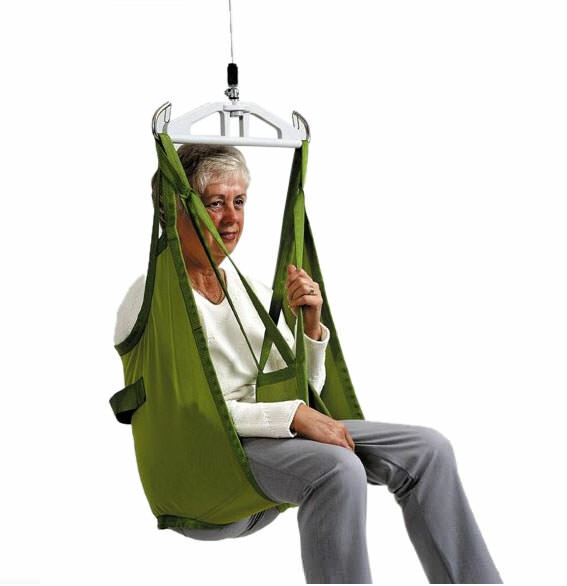 Sling use Disclaimer:Please note that we recommend only to use the recommended brand slings with your Patient lifts, we do not guarantee compatibility of other sling brands with your lift model. Medium 88-176 lbs. 440 lbs. Large 154-264 lbs. 440 lbs. Extra large < 240 lbs. 660 lbs.